Hello travel fans and welcome to another week! This is going to be our last Monday Escapes linky until Monday 4 September while us hosts scatter for our various summer breaks. I’m sure many of you will be doing the same. We can’t wait to hear about your adventures when we return. This week Karen and Sarah are hosting, and you can link up on Extraordinary Chaos. Since last time I’ve been enjoying time in Cornwall in the far south west of the UK. First the girls and I took a mid-week trip to Hendra Holiday Park in Newquay. This is something that will become such rarer from September as my eldest starts school – sob! We followed up our Newquay getaway with a spa break – yes, with the kids! It’s not something I’d thought of doing until we were invited to the China Fleet Country Club on the Cornwall-Devon border. But it was a great success. Pop back over the summer to read more about how we fitted in pampering around two under fives! This week I’ve linked up our stay at at five-star campsite on the edge of Dartmoor, Karen is sharing her experience Gorilla trekking with kids, Sarah is linking a review of Sani Dunes in Greece and Lisa is linking her advice for planning a family holiday to Orlando. Molly’s post about Popeye Village in Malta is packed full of beautiful pictures of her fun visit. Who knew this place existed?! The five-year-old in me is itching to go! 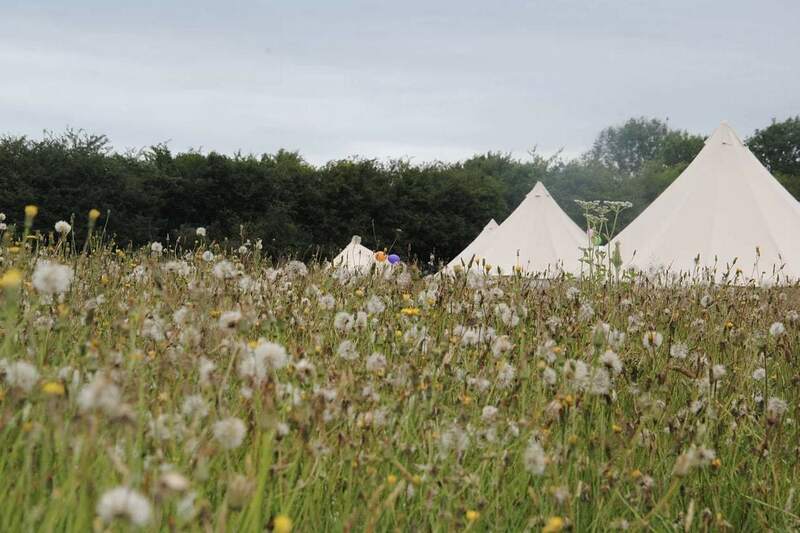 Lisa challenges anyone who says they don’t ‘do’ camping to read Sarah’s review of Canvas and Stars on Hale Farm in Chiddingly, East Sussex. We love the wild flowers, hay bales for seats and all the quirky extras for kids including a dressing up rail! We are also all feeling completely inspired by Jenn and Jason who are currently living in Bangalore with their two and three-year-olds. 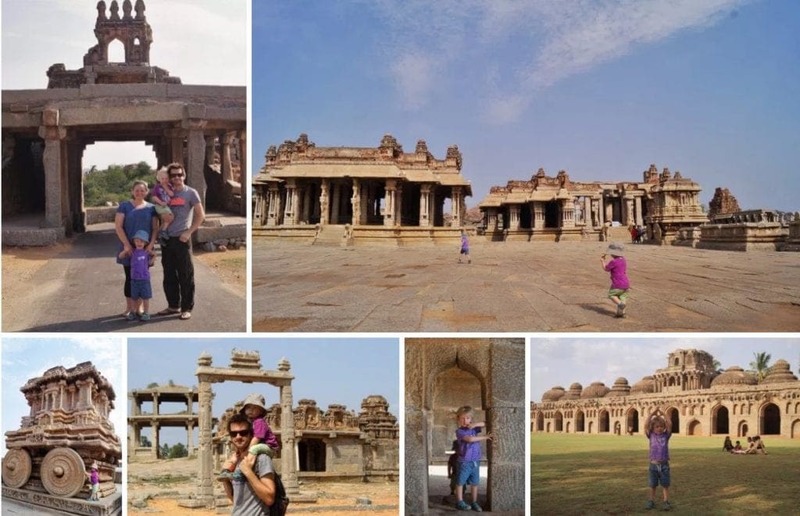 The family’s recent experience visiting Hampi completely captivated us. Their kids look like they are having so much fun exploring the temples and stroking the local elephants. What a life changing opportunity for them all!